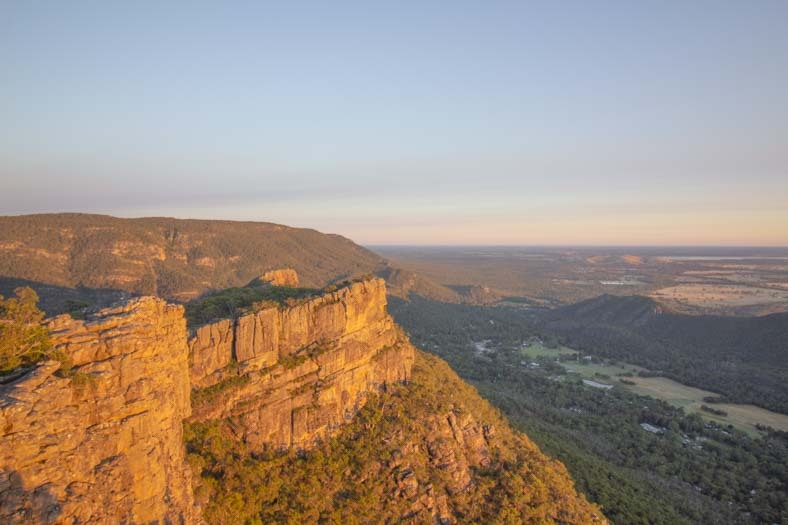 The Pinnacle is one of the Grampian’s National Park’s most famous spots. For visitors to this beautiful national park in Victoria, the pinnacle walk is at the top of their must-do lists. I spent most of my childhood visiting the Grampians, but whenever I visit again, I can’t help but be in awe of this beautiful national park. To help others visiting this beautiful place, I’ve put together a guide for the Pinnacle Grampians. Why should you visit the Pinnacle? 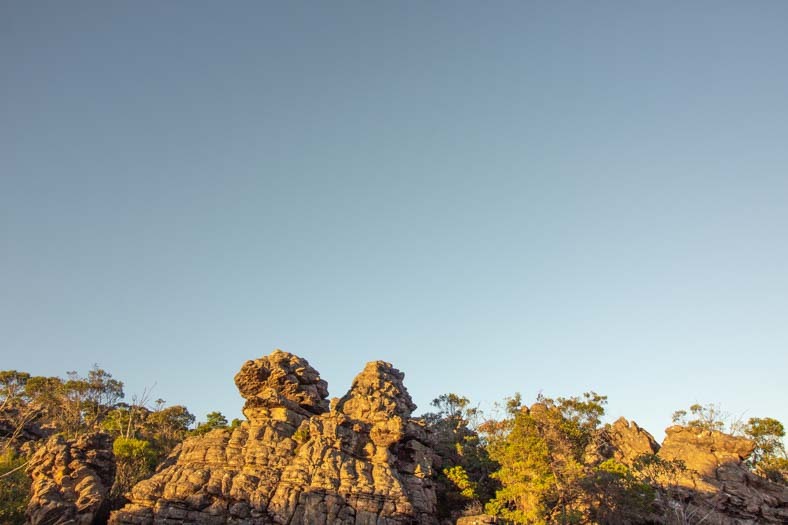 The Pinnacle is an iconic lookout in the Grampians National Park. The lookout consists of rock formations that jut out in the form of ledges. 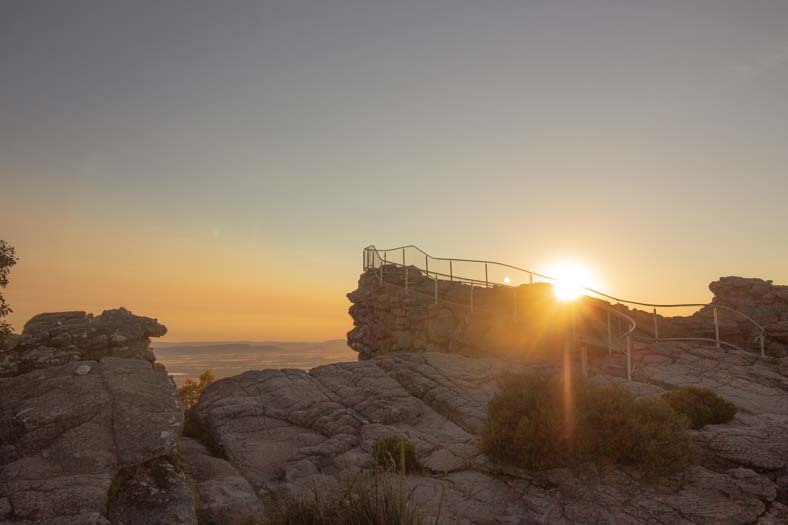 But why should you visit the Pinnacle Grampians? The views from this lookout are just breathtaking. 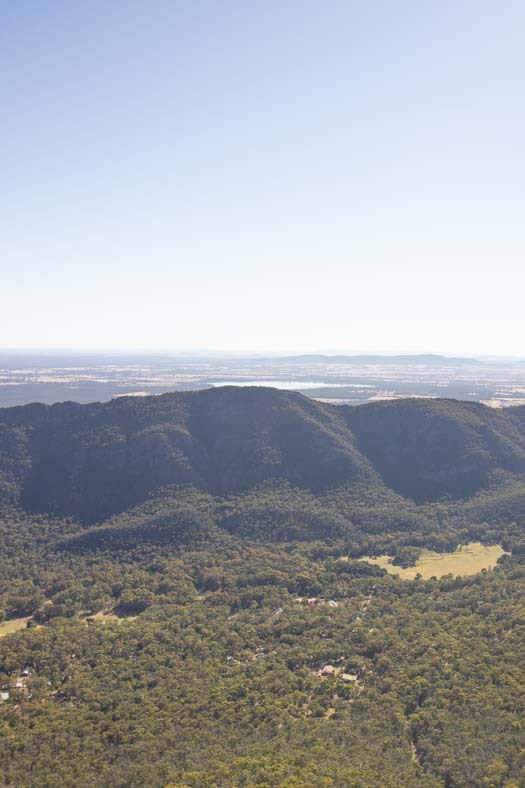 From here you can see the tiny town of Halls Gap (from this height everything is little!) as well as the nearby rolling hills. 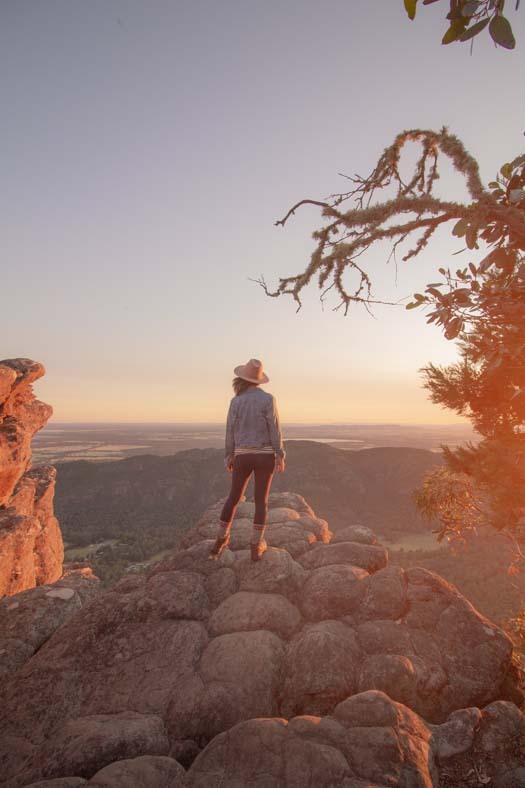 The Pinnacle lookout is also an iconic view at the Grampians, and as it is more difficult to get to (compared to some of the other lookouts like the Boroka or Reeds lookout), there is a feeling of accomplishment that comes with hiking to this point. While the Grampians National Park is famous for its beautiful hikes and walks, sometimes you want to take it easy. Or in the case of the Pinnacle, easier! Unfortunately, there’s no “easy” walk to the Pinnacle – at least not in the traditional sense. The easiest walk to the Pinnacle can be still challenging, especially if you are new to hiking. Don’t let this put you off though – it’s a beautiful point and 100% worth the small work-out you will get from doing this walk. The track consists of flat sections, but progresses into rocky steps and then a puff-inducing rocky section. If you’re fit, you shouldn’t have any problems, but if you’re not used to hiking, this might be on the more difficult side. If you’re after something a bit more challenging, or if you have a bit more time to kill, I would highly recommend this walk! While it’s longer, the trail on the way to the Pinnacle takes you through sections which are a tad more exciting compared to the walk from the Sundial carpark (above). The walk takes you through the Grand Canyon, a much smaller version of the US’s Grand Canyon (shh, it’s still cool!) and a tiny rock-formed alleyway called Silent Street. There are lots of steps (phew, I was puffed out!) and there are long sections of rocky areas where your legs will get a workout. While we saw a couple of people doing this walk in sneakers, we’d recommend hiking shoes if you have them. The rocks can be slippery, especially if it’s wet / been raining. This one is for the keen and experienced hikers out there (hands up y’all!) The trail begins at the Halls Gap Caravan park, so involves hiking all the way UP to the Pinnacle. Unfortunately, we didn’t have enough time to try this walk out, but will be doing it the next time we visit the Grampians! The Pinnacle is a beautiful spot regardless of the time of day, but it’s especially beautiful during the golden hour. That is – during Sunrise or Sunset. If you’re planning on visiting for Sunrise, make sure you come prepared to hike in the dark. We took the hike from the Sundial Carpark, and most of our walk was through the dark. We forgot to bring our headlamps (never again!) and hiked with the torch lights on our phones. Visiting for sunrise was especially magical – there was only one other person there at the time, and the lighting gave a beautiful glow to everything. If you’re planning on visiting for Sunset, the deal is pretty much the same. If you stay for the full sunset, you will be hiking back to your car park in the dark. Bring a source of light (it gets dark!) and be prepared for the change of temperature that comes with the sun not being out. During winter, it can get cold (especially at the Pinnacle lookout point!) and the weather can change quickly. Dress in layers and be prepared for rain. During summer, it can get hot hot hot! Due to the nature of the walks (they are largely uphill and offer little shade) you will need to come well prepared. Bring plenty of water (more than you think you’ll need), wear a hat, and slather on sunscreen before you leave the car park. Also, remember to re-apply and take regular breaks. Summer in Australia can be deadly – so come prepared! Bring comfortable, sturdy shoes: Due to the nature of the walks, most of them require walking over rocks. This can be slippery if you don’t have shoes with proper gripping. 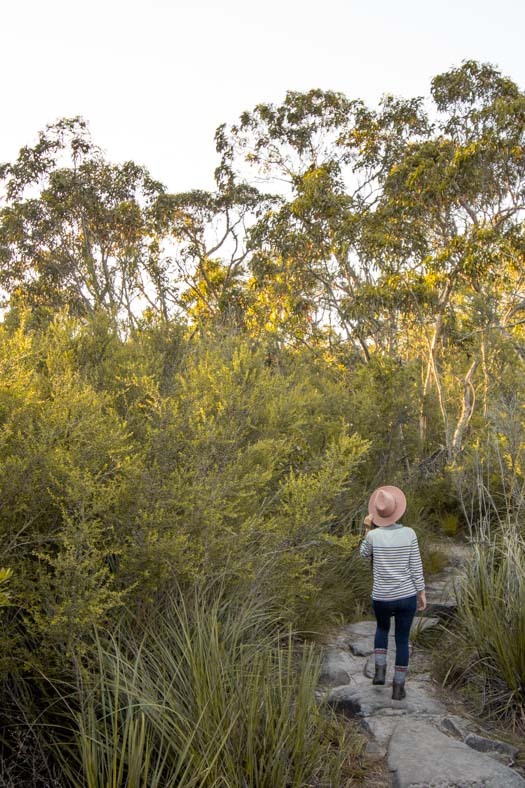 If you’re doing the walk from the Wonderland carpark or Halls Gap Caravan park, it’s worthwhile bringing along hiking shoes or boots if you have them. Hat: this is super important on sunny days, and essential during summer. The sun is harsh in Australia, and without a hat, you are exposing yourself to the heat and run the risk of getting sunburnt. Plenty of water: if you’re traveling on an overcast day during winter, water is still essential (the hikes to the Pinnacle still require a work-out!) but bring even *more* if you’re traveling during summer. Jacket/raincoat: this is more applicable if you’re traveling during winter or the shoulder seasons of autumn/fall or spring. It can get pretty cold in the Grampians, and the temperature at the Pinnacle can be different compared to when you’re in Halls Gap! Headlamp/torch: if you’re planning on visiting during sunrise or sunset, you’ll need a source of light. After all, you don’t want to fall flat on your face! Snacks: I’m a huge fan of packing snacks for hikes (you never know when you’ll get hungry!) so bring along something you can munch on. Or even reward yourself when you get to the top! We brought along breakfast for our sunrise walk, and it was *so* nice to eat after our hike through the dark! 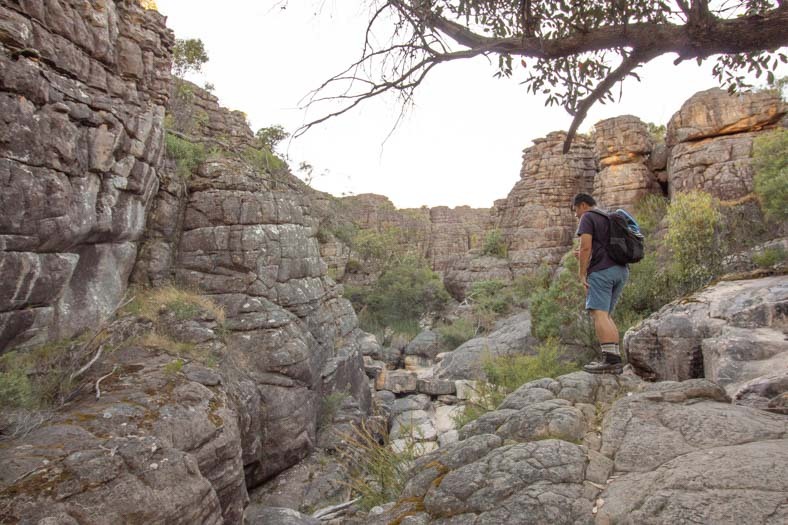 Visiting the Pinnacle Grampians is a worthwhile addition to any trip to the Grampians. While the hikes up to the lookout aren’t the easiest, they are well worth the effort. The views from the Pinnacle are spectacular and my favorite part of visiting the Grampians National Park!